I've posted before about the discovery that ancient Greek sculpture was not plain white marble, as previously believed. 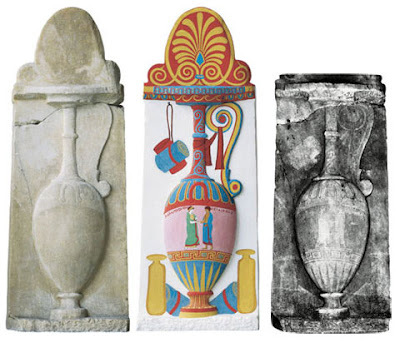 The Greeks actually painted their sculptures in vivid colors. I recently found more articles about this realization, which is changing the way we think about classical art. We weren't the only ones to have a misinformed view of art history. During the Renaissance, artists like Michelangelo sculpted in white marble, because this how they believed classical sculpture looked. All the paint from antiquity had been stripped away by that time, so it appeared that the ancient Greeks & Romans created bare marble statues. This is just one of the ways that technology is helping us gain a clearer view of our ancient past. 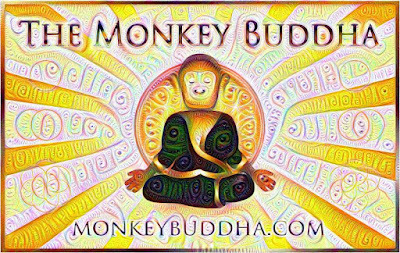 This is an extremely rare look at my process of writing a post for The Monkey Buddha. Last week, my family was on our annual summer vacation at Slaughter Beach in Delaware. My family are experts at vacationing & relaxing. I started out the vacation by going with my girlfriend to visit her family in Avalon, NJ for the weekend. On Monday, we took the Cape May Ferry to Lewes, Delaware and drove to Slaughter Beach, where my family was staying. It was a great week and we all enjoyed ourselves. I love sitting on the beach, running by the marshes, watching the sky at sunset, then making a beach fire pit in the sand under the stars. Being in nature is what I enjoy the most. Nature can also be creepy, though. On the last day of vacation, my brother Joe almost ran into this large spider which had trapped a butterfly in its web. I added it to my album of nature photos. "Slaughter Beach" definitely lived up to it's name in the case of this spider & its unfortunate butterfly prey. One of my recent topics of particular interest has been molecular biology & microscopic life. Many people don't even realize that each of us human beings is actually an ecology of microbial life, living symbiotically with human cells. We are a biome of billions of tiny life forms essential to our physiological functions. The reason I don't fear germs, bacteria, etc. is because not only are they throughout our body- they are everywhere! 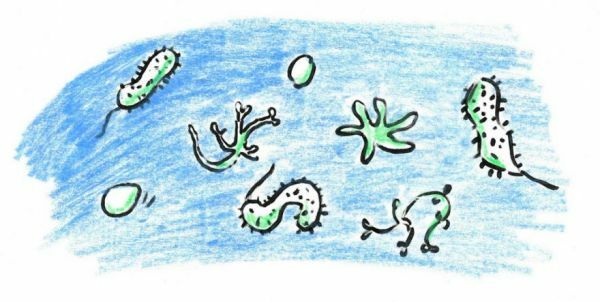 Research is showing that microbes even live in the air, all the way up to the very edge of our atmosphere. 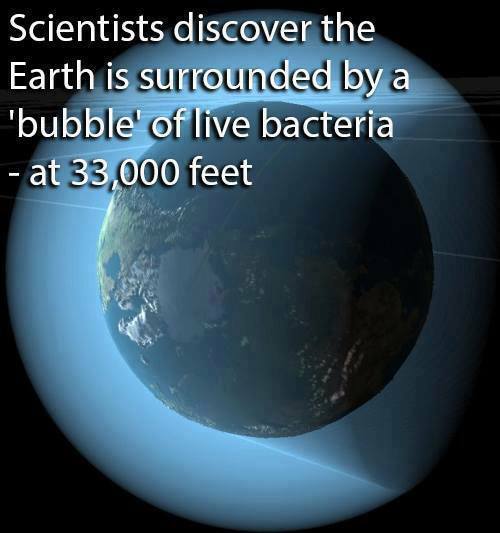 I saw an article on Neatorama about living organisms that survive floating miles up, at the edge of space. As a graphic designer with over a decade of commercial experience, I've created my fair share of logos. A good logo can become just as iconic as the company, service, or product that it represents. This is a set of animated GIFs that show logos from some of the most popular companies, and the images morph to show how they changed over time. Last night, I sat out under the starry sky around midnight to watch some of the Perseid meteor shower. Luckily, it wasn't too cold out, and the night sky was very clear. For the hour or two I was out there, I saw at least a dozen meteors. A few of them were very bright, with visible smoke trails. 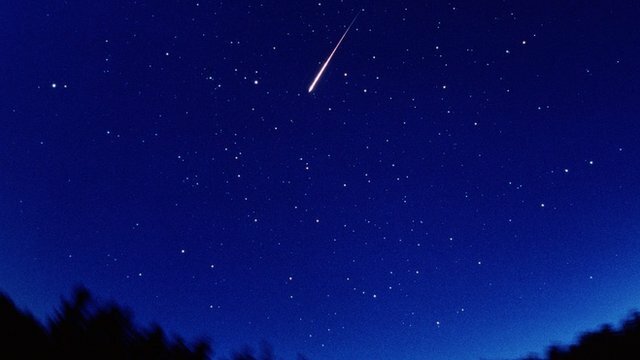 Early on, there was a meteor that was so large that it looked like a missile shooting across a large section of the sky! Although they are known as shooting stars, meteors are actually small pieces of rocky debris that fall into our atmosphere. As they hit the air & burn up, we see the result as a fireball with a trail streaming behind it. The annual Perseid shower is caused by Earth's orbit crossing the much larger orbit of the Comet Swift-Tuttle. As we pass through the debris field, hundreds of rocky fragments floating in the wake of the comet are pulled toward Earth. Most of these meteors burn up before they get near the surface of the planet, although some that impact the ground are later found, when they are designated as "meteorites". One of the biggest priorities of the human race should be to locate large asteroids that have the potential to cause major damage should they impact the planet. There are giant rocky bodies hurtling through space that could cause major planetary catastrophe, yet humans are blissfully unaware of the potential for disaster that exists because we have not made the effort to plan for such an event. What Are the Limits of Human Vision? Originally a congregation of cells that evolved to react to electromagnetic radiation, the organ we call the eye is one of the countless marvels of biology. Despite the power of sight, our eyes only pick up a small slice of the energetic reality surrounding us. We adapted to see only what we need to to survive in our particular circumstances. As technology advances and digital interfaces are developed to enhance our senses, it's possible that one day humans will be able to detect other energy wavelengths or have a wider range of vision. I always wondered what the "resolution" of human eyesight is compared to the pixel dimensions of computer screens. It turns out we see at about 120 pixels per degree of arc, which ends up being around 500-600 megapixels. The eye and visual perception are sources of constant wonder for me. The ability of the eye and the brain to process light energy into recognizable form is a marvel, but it is also fundamental to how humans and other lifeforms perceive our world. 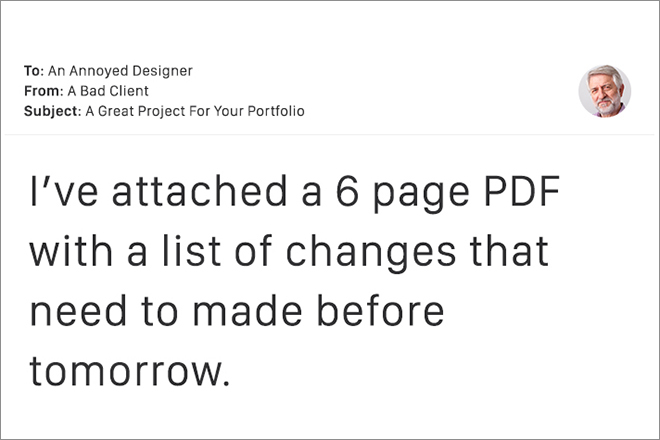 I saw this funny and disturbingly accurate list of email headings that a designer like myself would dread seeing in their email inbox. 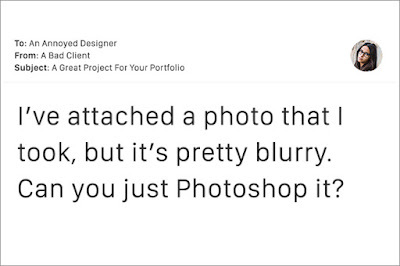 Luckily my studio doesn't really have to deal with clients like these, but I've seen plenty of similar requests over the years. 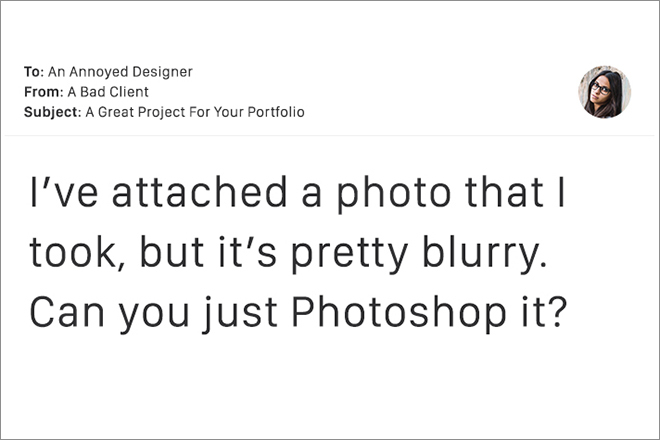 People don't typically understand the patience & mental telepathy required to be a good graphic artist or designer. This is probably true for any profession where you interact with people in any capacity, though. There are few technologies that have been as useful for advancing our understanding of the world as computer imaging & 3D modeling. Using computers and software to simulate previously unknowable systems, we can visualize phenomena from the microscopic to the cosmic scale. One area where these visualizations are extremely helpful is in biology and anatomy. The human body is an extraordinary collection of parts & processes, and there are aspects of it that can only be experienced through computer simulation. 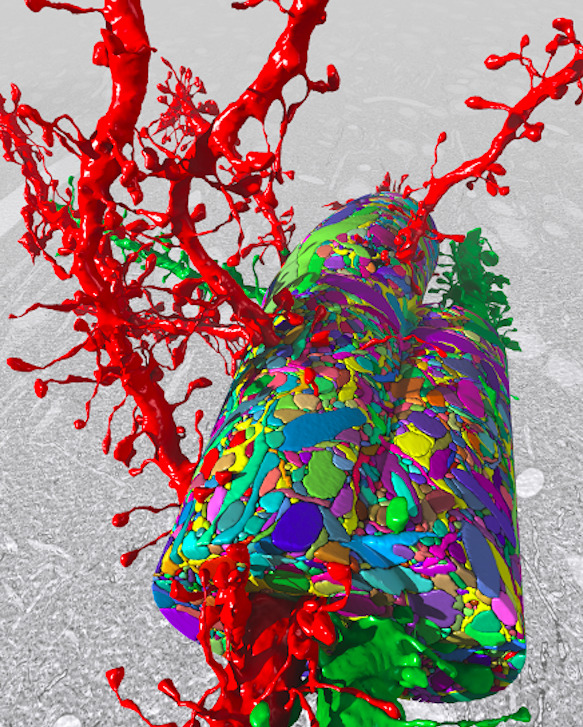 I recently saw this article about the imaging of a small slice of a mouse's brain neocortex, or gray matter. The neocortex is the outer area of the brain that is responsible for complex information processing. The area of brain tissue that was studied was smaller than the cross-section of a human hair, and was sliced up into extremely thin slices. The slices were scanned & the area was reconstructed digitally, so it could be analyzed in precise detail. 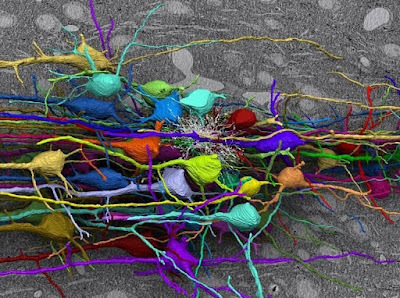 The imaged area was based around two nerve cells, and included all the other cells that intersected that densely-packed space. The different cells are encoded using colors to differentiate them. 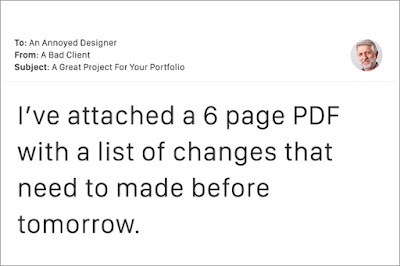 The awesome thing about having a digital model is that the various elements can be separated, isolated, and manipulated to understand their different aspects. I am fascinated by these kinds of studies and the insight they give into ourselves & the incomprehensibly complex nature of our bodies. This short video gives a concise description of the study & the visual representations of the cortical tissue. 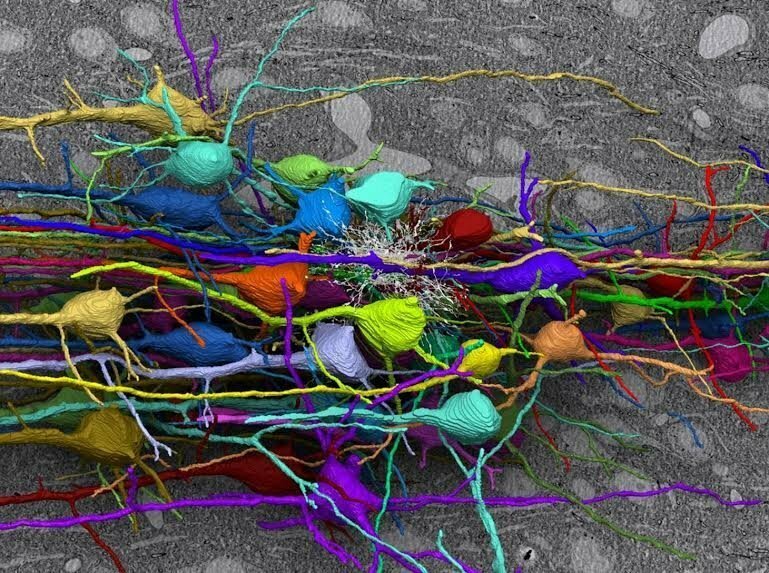 I've previously posted about the complexity found within single one of these brain cells. I recently posted about software code that Google researchers have developed, using computers set up as neural networks. The computer uses a feedback loop of image recognition algorithms to find features in the imagery, and then enhance them. 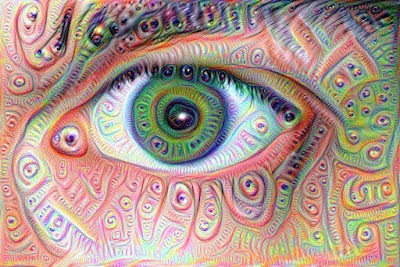 The Google engineers dubbed the process "Inceptionism," because the computer keeps going deeper into the image to discern features & patterns. Even if there isn't really any recognizable elements in the visual data, the computer will still process the information & try to find familiar forms. 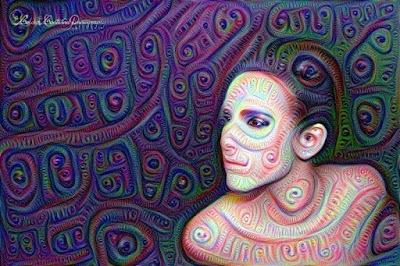 The images that are filtered through the software often end up with a trippy, bizarre, or dream-like appearance. This research can give us a lot of insight into the nature of consciousness and altered states of all types. By modeling the way the brain recognizes & processes patterns, we will develop a deeper understanding of our own minds. 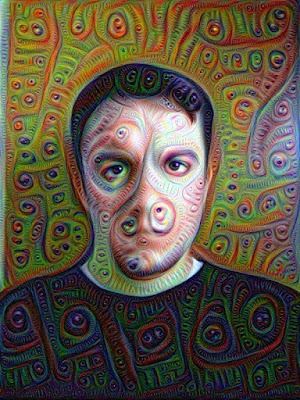 There is a web app I saw on Gizmodo that takes the Google code and allows you to upload your own photos & apply the different filters. There's no control over the parameters for each filter, but it's fun to plug different pics in and see how they turn out. 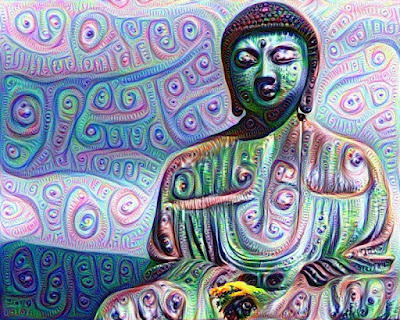 I put a bunch of my own photos through the various filters and created a gallery of images. The results were mostly pretty interesting. My favorites were made using the "Botanical Dimensions" filter. There are more images in the linked gallery, below. Here is a crazy rendering of my girlfriend Loretta. The original photo was taken by her friend Tessa from Colour Contessa Photography. I think she looks like an otherworldly Aztec goddess. I love nature & being outdoors. Even though my house is near a highway, there is also a lake & wooded areas. I see a lot of wild animals around my house & in my other travels, so I decided to make an album of all the nature photos I've taken. I started the album off with some pics of a bunch of different animals that I saw right on my back patio this weekend. I felt like it was an episode of National Geographic. On Saturday, I noticed movement outside my window & saw a family of wild turkeys walking behind my house. There were two adults & two little ones. They walked a little into the woods, and I saw the adults fly into the trees. Yesterday, I saw this groundhog peeking out from my woodpile, then he came out to nibble on leaves while standing on his hind legs. There are always rabbits running through my yard. I saw this one through my sliding glass door. Finally, I was visiting my good friend Dr. Phil, who was in town this weekend. While I was sitting by his pool talking & having some afternoon beers, this praying mantis crawled on my leg. I picked it up by his leg to move him & it started attacking my finger.